Family fun fright fest in downtown Louisville's premier shopping and dining district! 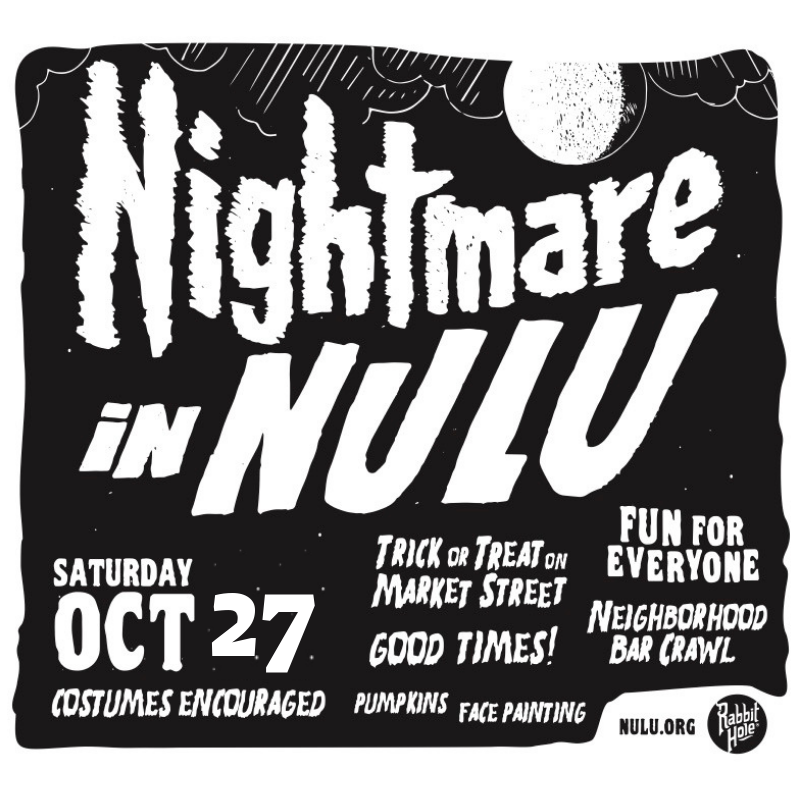 Spend your Saturday at Nightmare in NULU with great cocktails sponsored by Rabbit Hole Distillery! Don't forget to dress in costume too!